The strength of McDonald’s breakfast menu means that it gets customers even during off-peak hours. McDonald’s also has a better ‘snacks’ menu than Burger King with its line of coffee drinks and wraps. Ronald McDonald is a better mascot than Burger King’s King character. Children would prefer to have Ronald McDonald at their parties. McDonald’s is more efficient. More cars can go through McDonald’s drive-throughs in an hour than those of Burger King. 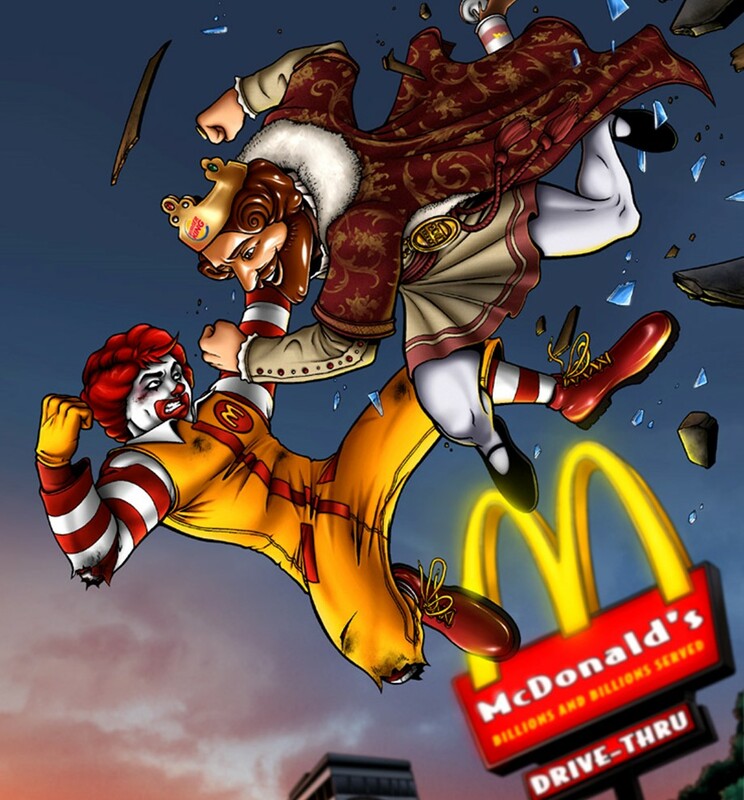 McDonald’s spends more on marketing than Burger King…and Burger King doesn’t intend to try to catch up until at least 2016. The full article has many more details including how Starbucks and Taco Bell are trying to respond to the McDonald’s juggernaut, why drive-through business is so important, and more. You should read it here.